Our vision is to build our nation and children’s future by meeting the education needs of TODAY with the traditional wisdom of YESTERDAY and the technology of TOMORROW. Tomorrow’s citizens will have to be able to survive in a much more challenging and fast-paced environment. At Brighton International School, We want every single one of our student not only to survive but also to flourish in meeting such challenges. Brighton derives its name from an amalgamation of two words Bright & Nation. The array of these two words in the same order defines our objective behind starting this enterprising endeavor. The Emblem of Brighton brings to life the vision of this ennobling project. The colour blue and the combination of pen nibs used in the emblem reflects the contemporary and eternal impact of education which we want to bring in our students’ life by our invigorating and innovative methods. - We will always teach in the best way possible and do whatever it takes for our student to learn. - We will always make ourselves available to student and parents, and address any concerns they might have. - We will always protect the safety, interests, and rights of all individuals in the classroom. Meeting (and sometimes exceeding) the student’s individual academic and other developmental needs form the mission of the school’s faculty. 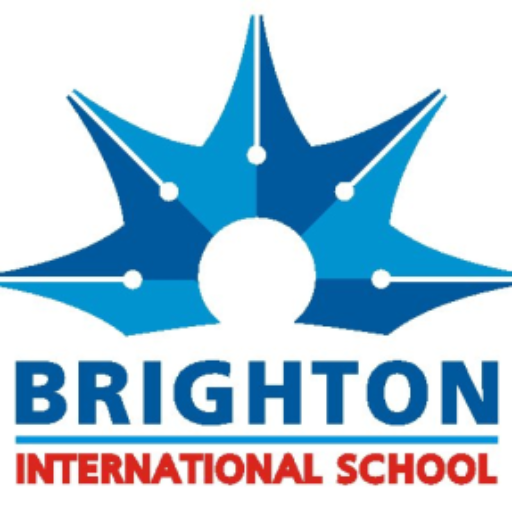 Thus the faculty members at Brighton aim to build each child’s self esteem, increase his/her engagement with the curriculum and remove any barrier that might hinder learning and achievement. With an enviable ratio of 1.8 teachers per classroom, our faculty is committed to the Brighton way. 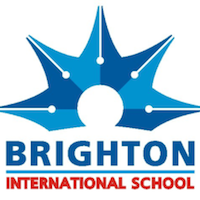 Brighton is affiliated with CBSE, the curriculum is strictly based on content and syllabus provided by the Central Board Of Secondary Education (CBSE) as well as the guidelines laid down by the National Council of Education Research and Training (NCERT). The medium of instruction is English. We follow a very rigorous Lesson Planning approach, which we call as, "The Brighton Way". Each and every lesson is designed with certain mandatory parameters like Activity, Assignment, CCE, Classwork, Personality Development etc. Name of the Bank: Kotak Mahindra Bank Bank Accounts Brighton International School Bank Account Number: 5412211044 Pratistha Educational Society Bank Account Number: 3612514835 IFSC Code: KKBK0006402 Fee payment can also be made through (POS) swipe machine at the office or though Online Fee Payment Module Salary to the staff is credited through a single cheque service. Academic Period from --- 15 June - 30 April Vacation (Diwali) - As per the state government orders Vacation (Winter) - Last week of December Vacation (Summer) - 1 May - 14 June Vacations date are subjected to a change in the schedule.